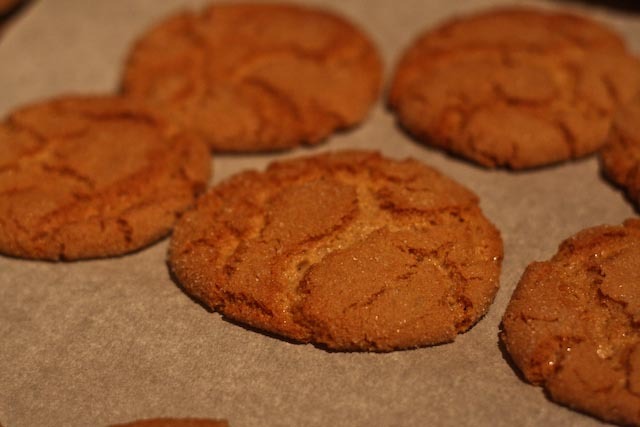 Rounding out my Christmas cookies this year are gingersnaps. 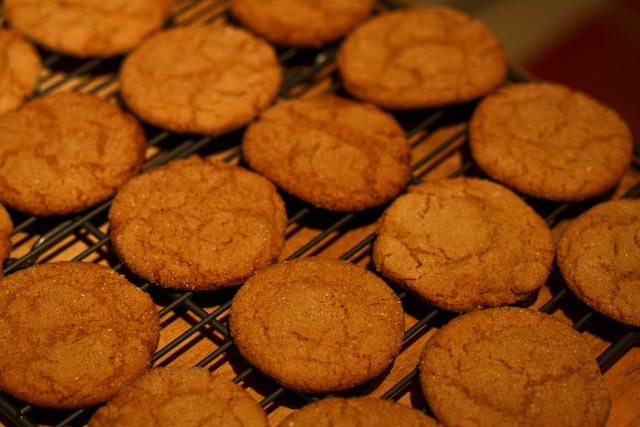 Shocking, I know, another recipe with ginger. (Yay!) These are delicious and extremely easy to make – hurrah! 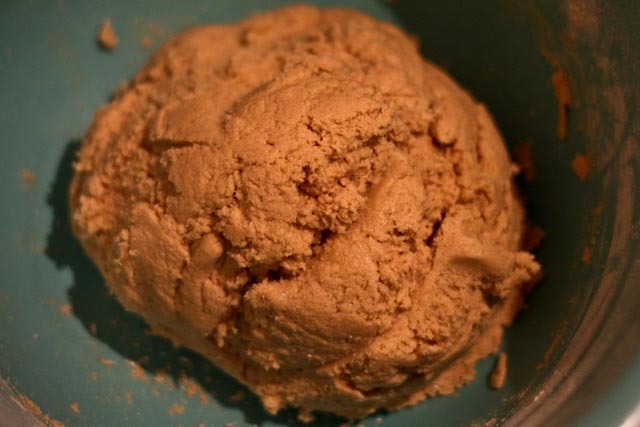 I put 1 1/2 HEAPING tablespoons of ginger in this dough, and they turned out perfectly spiced. 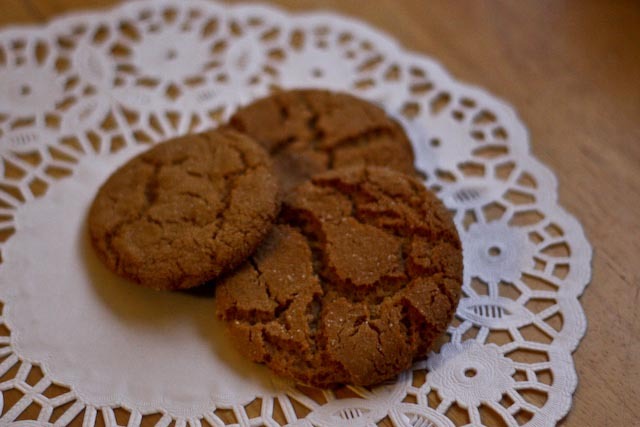 If you’re perhaps not as big a fan of ginger as I am (what!?! 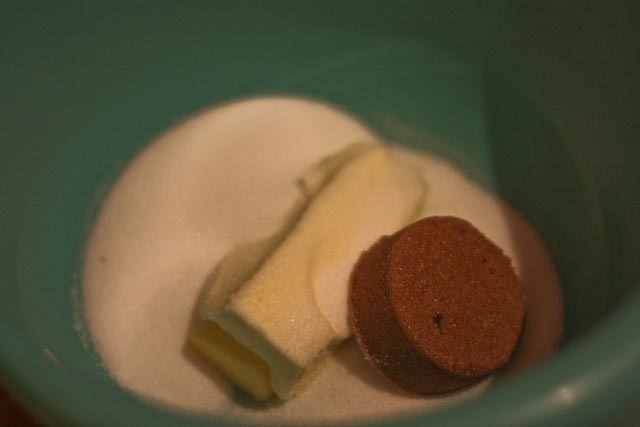 ), go for level tablespoons or even just 1 tablespoon (but I really don’t know why you’d ever want to do that). 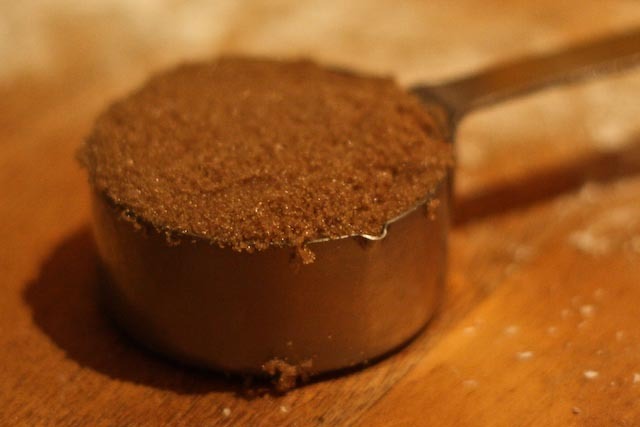 I love dark brown sugar, and that’s what I’ve used here. 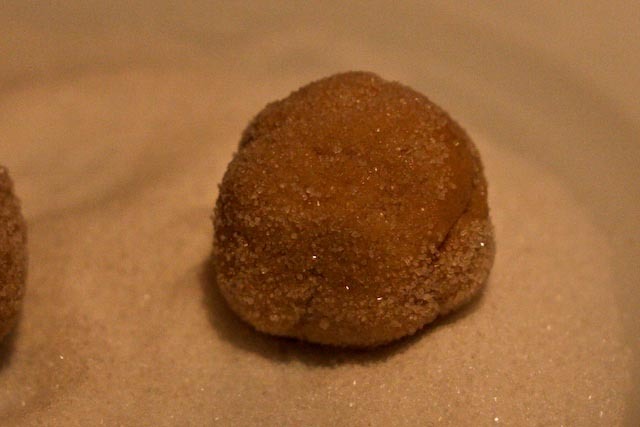 If you only have light brown sugar, you could use that as well, but if you’ve got the dark stuff, definitely go with it! I rolled the dough balls in granulated sugar before baking. Yum! These puppies bake until they’re nice and crispy and golden brown – and flat. Well, there you have it. Cookies for Santa! 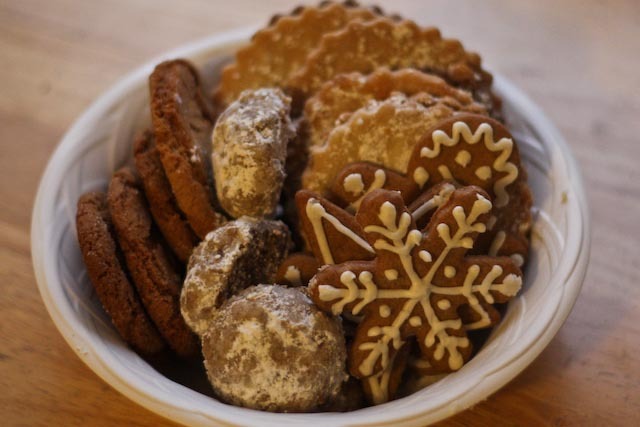 Gingerbread cookies, Alfajores, Mexican wedding cookies, and Gingersnaps!! I hope you enjoy these cookies – or whatever cookies you bake this winter – and that you have a wonderful holiday and a fabulous new year! Preheat oven to 350°F. 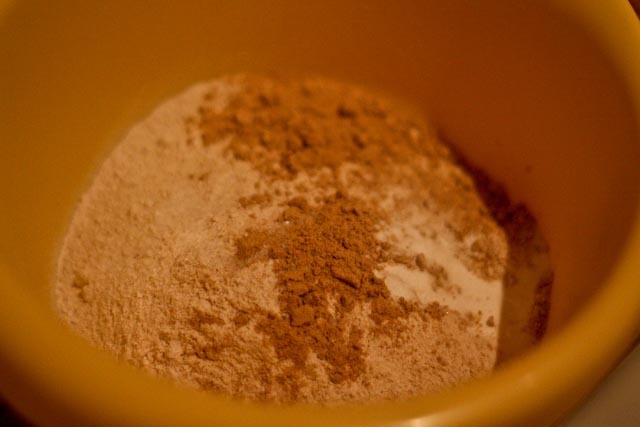 Combine flour, ginger, baking soda, and salt in a small bowl. In a separate large bowl combine granulated sugar, butter, and brown sugar and beat with a mixer at medium speed until well-blended. Add the honey, vanilla, and egg and beat well. 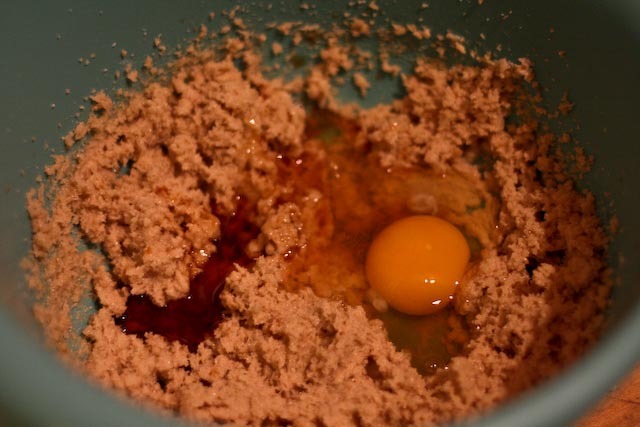 Add the flour mixture, beating at low speed until well-blended. Cover dough and refrigerate for 1 hour or until firm. 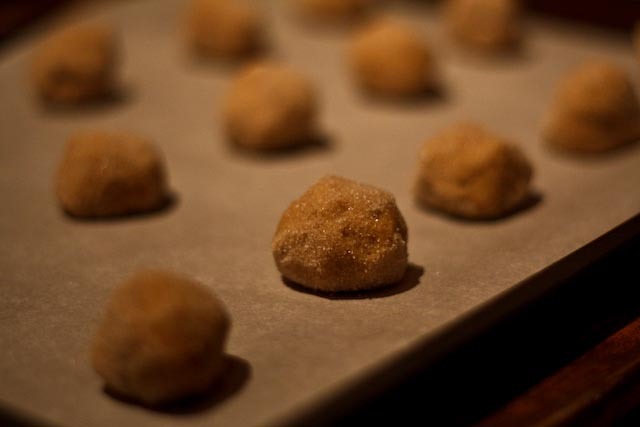 Shape the dough into 1-inch balls and roll each ball of dough in granulated sugar to coat. Place the dough balls about two inches apart on prepared baking sheets (lined with parchment or greased). Bake for 12-15 minutes or until lightly browned and flat. Cool for a few minutes, then remove the cookies from the baking sheets and cool completely on wire racks.